For today's activity our group met with a local organization named " The Ugly Indian". This groups purpose is to change the environment of India and it s society with the motto "Be the change you want to see". For today's activity our group met with a local organization named " The Ugly Indian". This group's purpose is to change the environment of India and its society with the motto "Be the change you want to see". 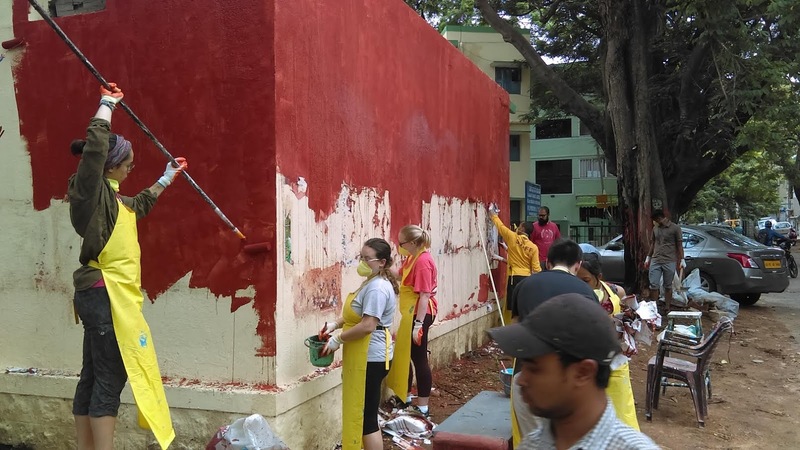 In the past this, group has worked to clean up the streets of Bangalore, and other cities, as well as motivate the communities to follow their example to keep their own communities clean. Their method to doing this is by leaving their very distinguished artwork on walls and infrastructure which helps prevent people from littering in those spots. In the morning our group arrived at a street in a pretty nice neighborhood. The activity leader from The Ugly Indian lead us over to the corner of the street and showed us how much litter and garbage was piled up on the ground. He also pointed to a beige wall with some posters on it and explained that these posters being there contributes to a domino effect, leading to people leaving their garbage and desecrating the space. On the other hand he also explained that people also have good intentions in that they will respect places which are already clean. 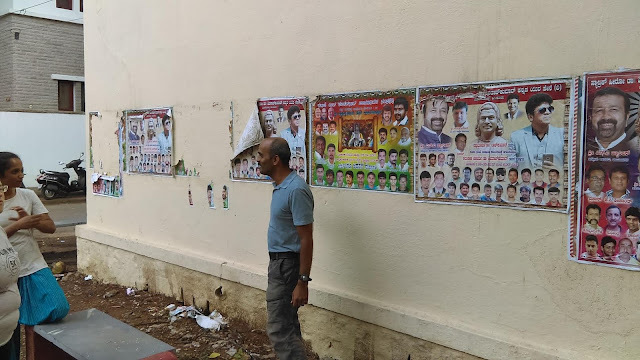 We started the process by peeling off the posters and clearing away garbage from the ground. 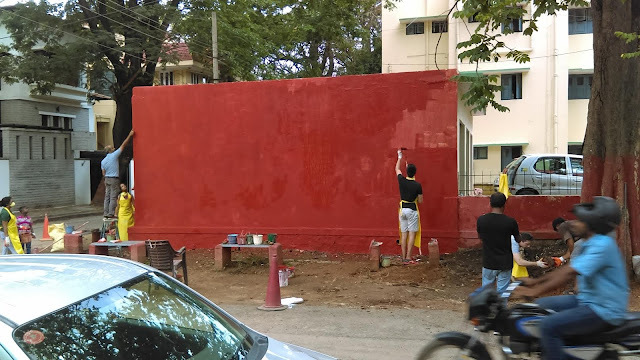 Then we painted the wall red to serve as the background of the artwork. 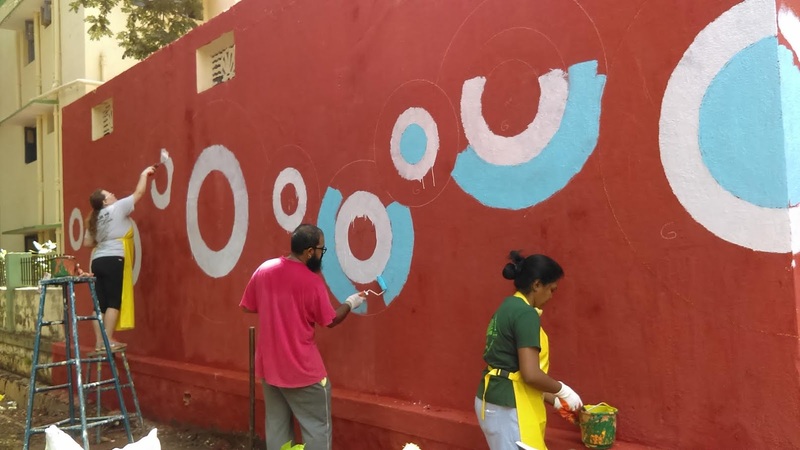 Lastly we helped paint simple geometric circles. 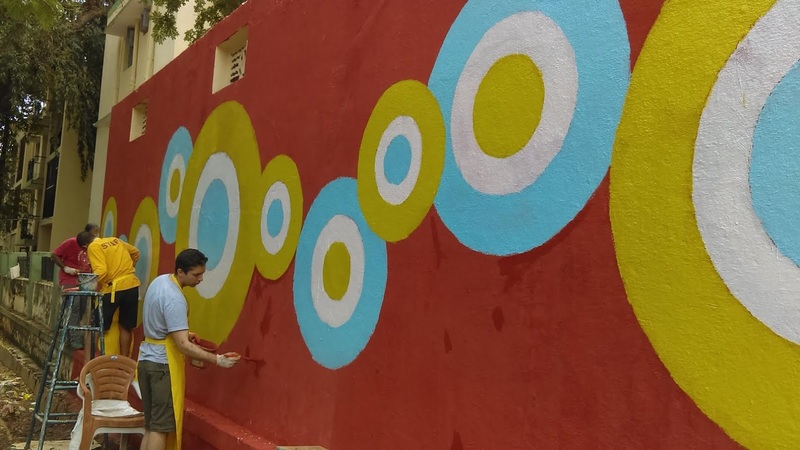 The activity leader said the simple geometric designs distinguishes The Ugly Indian from other social groups and that the simplicity of the design represents "you don't need to be a fancy artist to make a difference". It is also functional because it is easy to fix if people vandalize it. Throughout the experience the one thing which stood out to me the most was how many community members joined us while we worked, showing a desire for change. 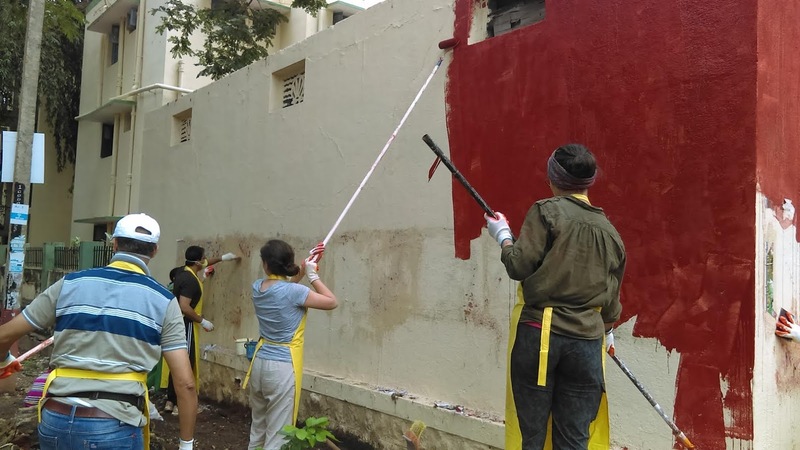 The Ugly Indian has shown to provide great opportunities for the communities here in India and these are things which could also be applied at home.